There is a huge part of me that hands down LOVES Ikea. Like I plan my trips MONTHS in advance. 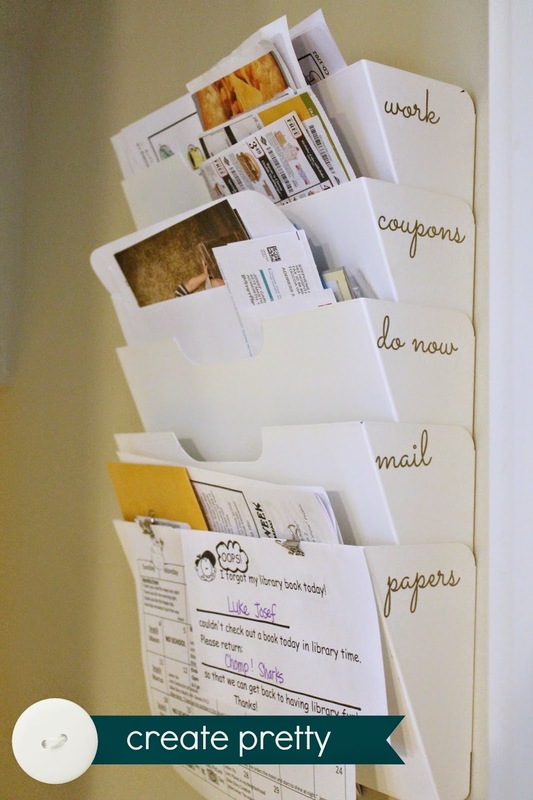 One of the areas I really wanted to tackle (and that was driving me CRAZY) was paper clutter and our kitchen counters. I'm not ready to go completely paperless. If it's out of sight it's literally out of mind. 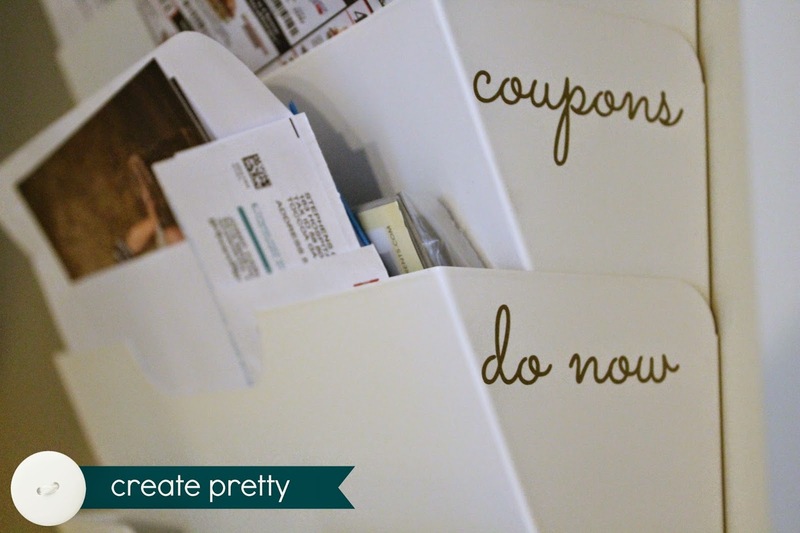 So I needed somewhere to corral papers. Important papers- doctor bills, papers to sign and return to school, coupons, etc. 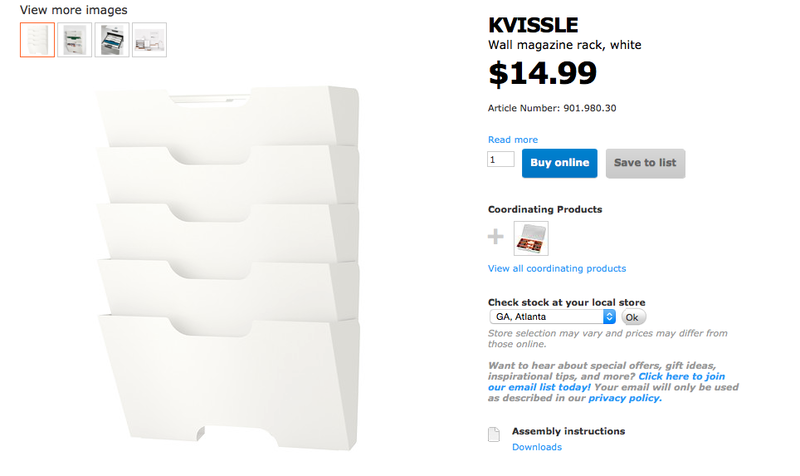 I decided that I needed The Kvissle magazine rack. It would be the perfect addition to our stairs going to the basement. 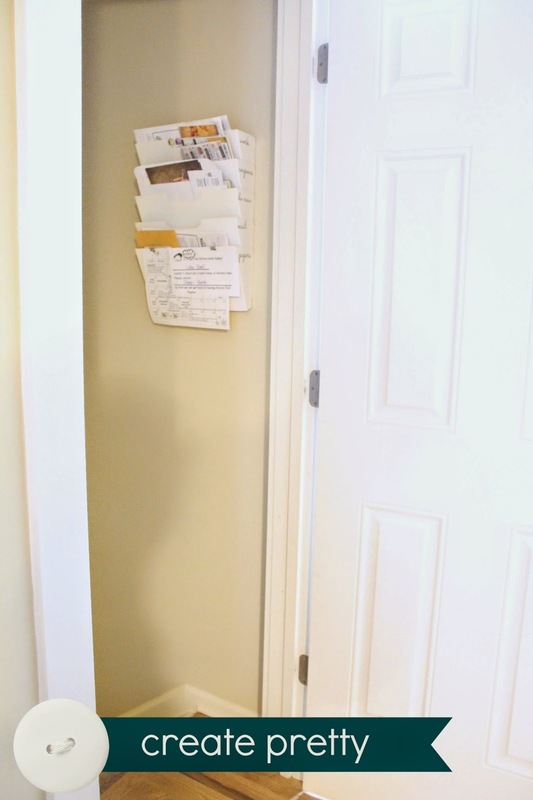 We have to walk through here to enter and exit our garage, which means that it's the perfect stopping point before the paper clutter has the chance to make it to my kitchen counter. Also I unload Luke's folder from school before it enters the main portion of our home. Until I came upon this bad boy at Goodwill! Thank you thrift store gods! In the nature of full disclosure, I actually didn't know when I purchased it that it was an Ikea piece (or THE EXACT SAME ITEM I WANTED). I just knew that it was similar to what I wanted and at $3.53, the price was right. I sent this picture to hubs and got the response "I'm sure you can do something with it." ;) Since it's metal a sharp knife and a little patience lifted those stickers right off. 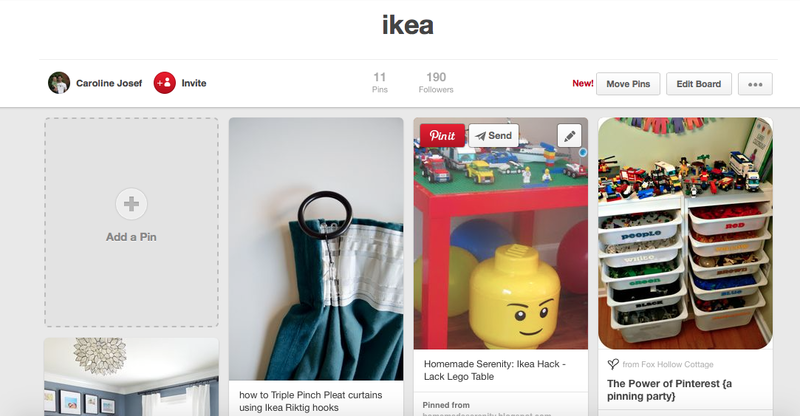 After I got home and jumped on Ikea.com I realized that it was the exact same one! Glory! See the Ikea sticker peeking out that I originally missed? After downloading my favorite font and cutting some gold vinyl... we now have perfectly labeled bins! Thrift stores are my favorite! You never know what you'll find!